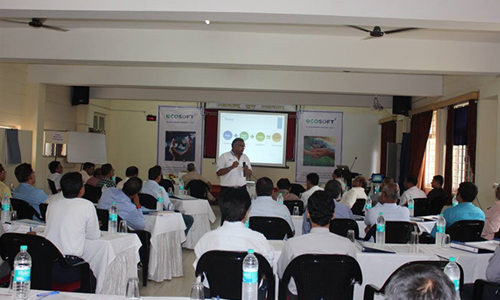 ECOSOFTT conducts an important policy seminar on water, wastewater and environmental services for the Jabalpur Municipal Corporation. The highly interactive was attended by the Mayor, Municipal Commissioner, Chief Engineer and senior officials from the Engineering, Pollution Control, Health and other departments with much enthusiasm. An action plan to upgrade water and environmental services in the city of Jabalpur was developed as a result of the seminar.